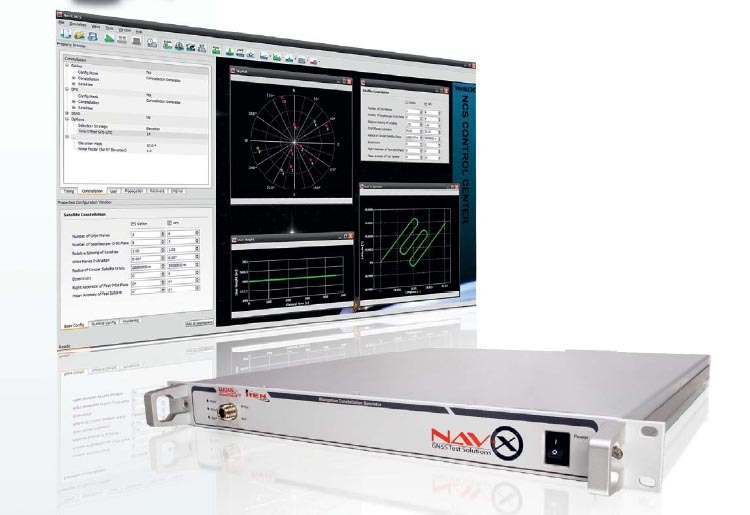 IFEN GmbH, in partnership with WORK Microwave, have announced the release of software update v1.9 for their NavX-NCS GNSS multi-frequency simulator product line. A key enhancement to the NavX-NCS solution is comprehensive support of China’s BeiDou-2 navigation satellite system, according to the companies. 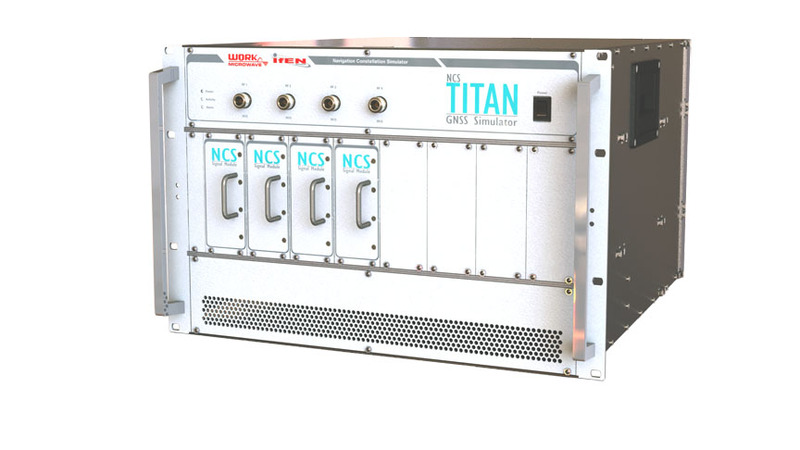 By enabling real-time simulation of second-generation BeiDou satellite signals, NavX-NCS expands a user’s GNSS signal capability beyond GPS, Galileo, GLONASS, and satellite-based augmentation system (SBAS) constellations. "Through a simple software update, NavX-NCS customers can automatically generate signal capabilities for phase two of the BeiDou constellation," says Günter Heinrichs, head of customer applications at IFEN, a Munich, Germany–based provider of GNSS navigation test and development products and services. The enhancement follows the recent release of the BeiDou-2 ICD specification, which outlines interface control requirements for BeiDou-2 satellite signals within the B1 frequency band. 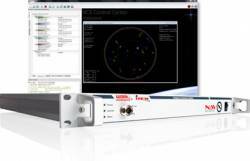 A new multi-user functionality enables the simulation of up to four different users, or one user with up to four antennas, in different locations simultaneously. Possible use scenarios include simulating a static user such as a reference station at the same time as a roving user, or simulating multiple docking maneuvers on an oil rig. The NavX-NCS GNSS simulators also now include a new 6DOF functionality that makes it possible to simulate six degrees of freedom (three dimensions of space plus yaw, pitch, and roll). A new monitoring widget is designed to simplify monitoring the current state of simulation. Another new feature in the NavX-NCS GNSS simulators enables users to perform advanced lever arm calculations. In simulation environments where the antenna is not located in the center of the moving object, such as the external of an airplane wing, lever arm calculations compensate for the fact that acceleration and GPS measurements are not made at the same point. The NavX-NCS GNSS simulators are available in Professional and Essential versions, both now optionally Export License-Free (LF), speeding up the approval process and delivery time to users abroad. With the Export LF version, users can now limit the simulated user velocity of their simulator equipment to 600 meters per second, eliminating the need for an export license. If an export license should be applied for and be granted later on, it is also upgradeable to a full version meaning the simulation of higher user velocities will be available. 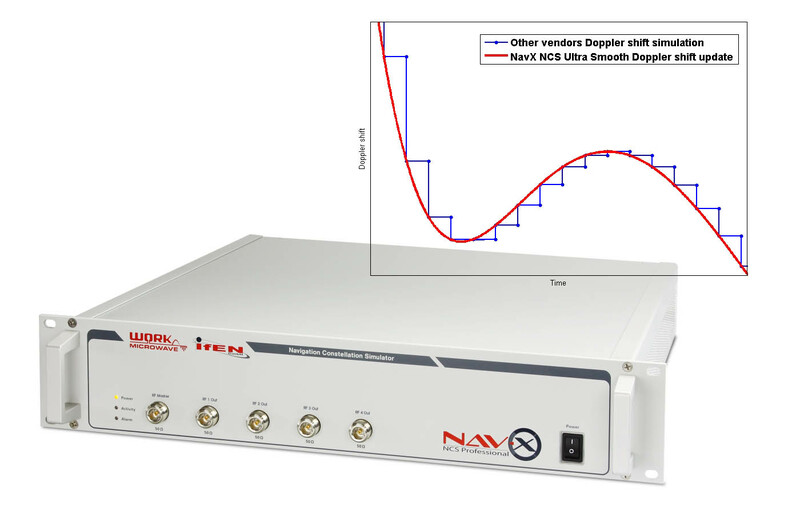 All NavX-NCS GNSS simulators feature up to nine L-band frequencies and 108 channels. The platform includes a two-year maintenance contract, the broadest range of frequencies and satellite navigation systems per chassis, as well as the flexibility for users to install software updates when they become available.